The first major trophy of the season is up for grabs Sunday when Manchester City face Chelsea in the Carabao Cup final at Wembley. City go into the game looking to defend the trophy they won against Arsenal last season and potentially set up the first leg of an unprecedented Quadruple (Premier League title, FA Cup, Carabao Cup and Champions League). 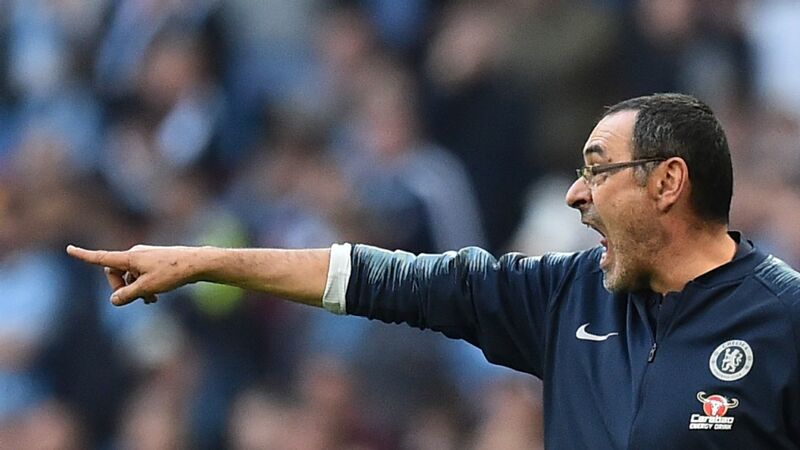 Chelsea, struggling for form under Maurizio Sarri, will aim to avenge their 6-0 defeat against City at the Etihad earlier this month in a game that has become crucial for the future of their under-pressure coach. A victory could even save his job. Here's what you need to know about Sunday's final (Watch on ESPN+ at 11.30 a.m. ET). So what is the final all about and where will it be won and lost? The Carabao Cup (aka The League Cup) has seen some surprise winners in recent years, with the likes of Swansea City (2013) and Birmingham City (2011) lifting the cup to win their first-ever major honour. But since Swansea's success, it has been dominated by the big clubs, with City (three), Chelsea (one) and Manchester United (one) winning it over the past five years. City go into Sunday's game as overwhelming favourites. Pep Guardiola's team have won 13 of their past 14 games in all competitions, while Chelsea have lost five of their past 11 and Sarri is fighting to save his job. Yet Chelsea did beat City 2-0 at Stamford Bridge in December, so they will have to find a way to repeat that performance to win Sunday. That means suffocating City in midfield and denying them the width to use wingers Raheem Sterling and Leroy Sane to full effect. It will be easier said than done, though. City will target Jorginho in the Chelsea midfield to cut off the supply line to the forwards and, lacking form and confidence, it is difficult to see how Chelsea can win. Who needs this trophy more? Man City cruised past Arsenal to win the Carabao Cup last season, their third such title in the past five seasons. Will they retain it on Sunday? 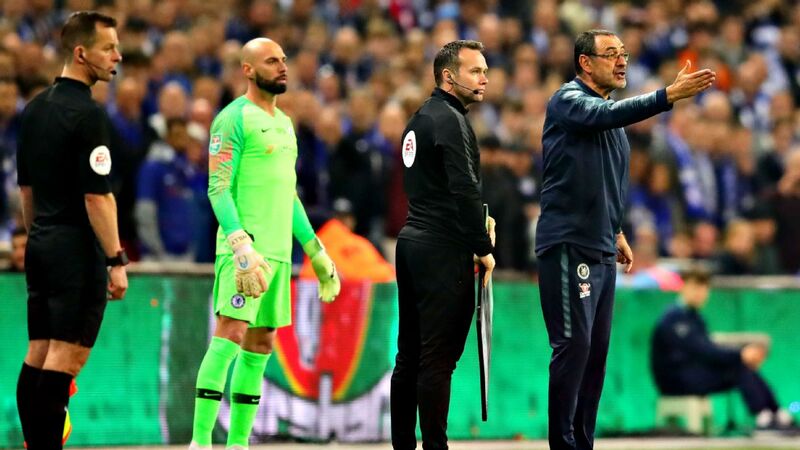 Chelsea desperately need to change the mood around the club, and a major trophy at Wembley would be the perfect way to lift the gloom and ease the pressure on Sarri. 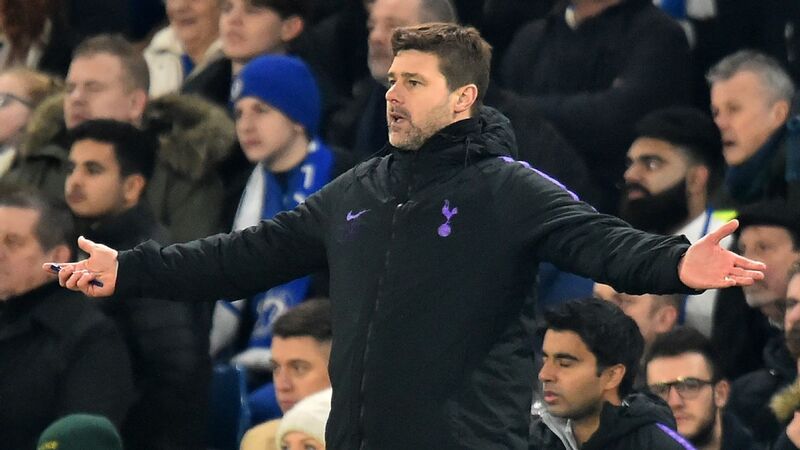 It remains to be seen whether a Carabao Cup win will be enough to keep him in a job if Chelsea fail to qualify for the Champions League -- it's unlikely to be anywhere near enough -- but silverware can inject confidence into a team and Chelsea need something to change, and fast. 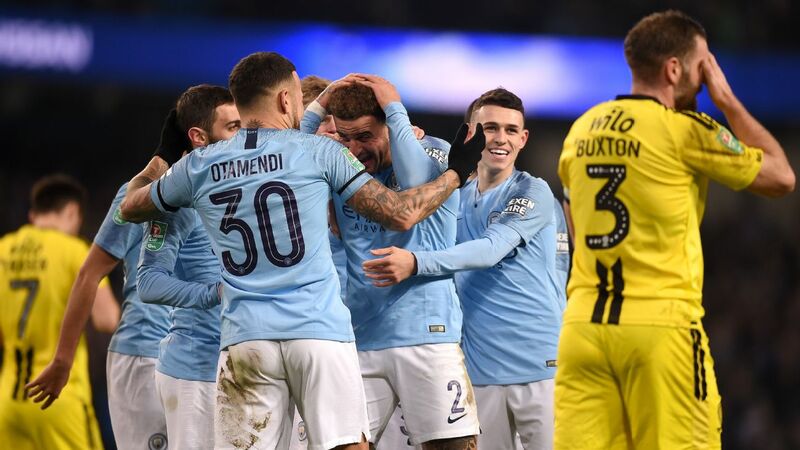 Losing at Wembley will not alter Guardiola's job prospects one bit, but City are just as determined to win this cup as others, albeit for different reasons. 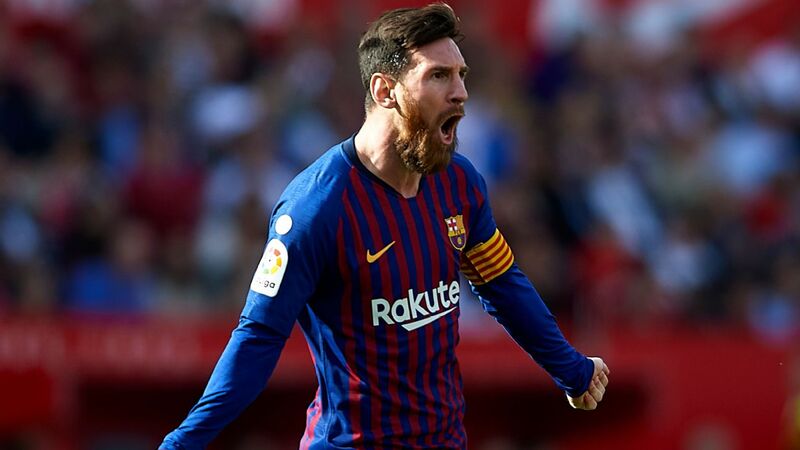 Winning Sunday could trigger a domino effect; it would be their fourth League Cup in six seasons, but more important, it could be the first building block toward a potentially historic achievement. Can Chelsea avoid another 6-0 beatdown? During Chelsea's recent run of five defeats in 11 games, they've conceded 14 goals and scored none during those losses. When it starts to go wrong, they simply can't find a way to slam on the brakes. 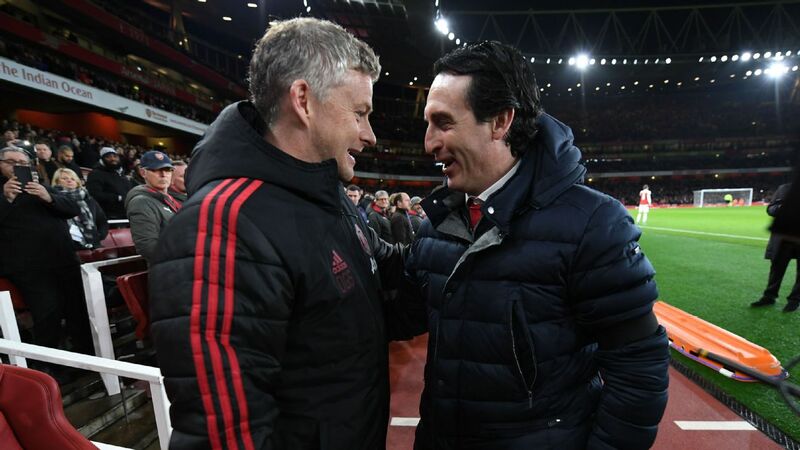 Sarri's 4-3-3 game plan has not been working, and the top teams, such as City, United and Arsenal, have ruthlessly exposed Chelsea's weaknesses during convincing wins recently. But Chelsea still have quality and they have players capable of beating anyone on a good day. If Eden Hazard can play to his best, if David Luiz and Antonio Rudiger can keep it tight at the back, if Jorginho can find his form, Chelsea have a chance. But none of the above has happened since the turn of the year, and Chelsea, quite frankly, appear to be getting worse rather than better. They need to have a very good day and hope City have a really bad one in order to win. Weaknesses are in short supply at City. But there are areas that Chelsea can try to exploit. 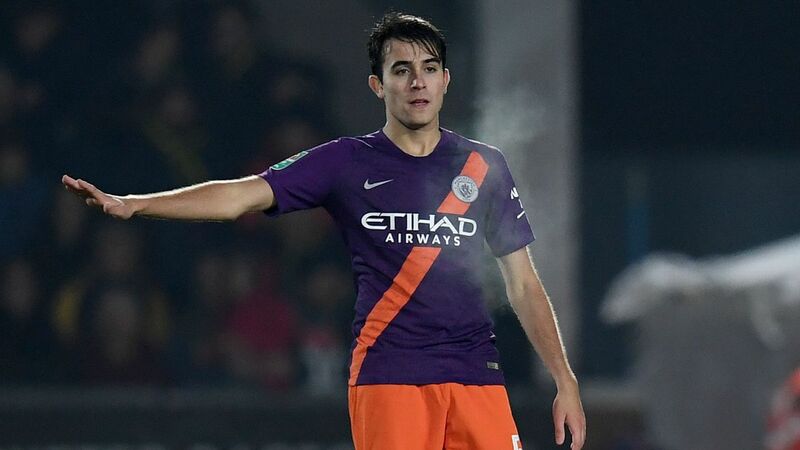 With Benjamin Mendy still struggling for fitness, City do not have a recognised left-back, so Chelsea can attempt to expose that space in order to get behind their defence. At right-back, Kyle Walker is a force going forward, but the England defender has been caught out in recent weeks, leaving gaps at the back, and Hazard is more than capable of making him pay for any similar mistakes Sunday. Going forward, City's only weakness is their overreliance on the goals of Sergio Aguero, but while he is fit and scoring, that is only a strength. If Aguero is missing, Gabriel Jesus is not an adequate replacement, but there are no signs of Aguero missing this game. Where to start ... from back to front, Chelsea have problems and Sarri is struggling to find solutions. 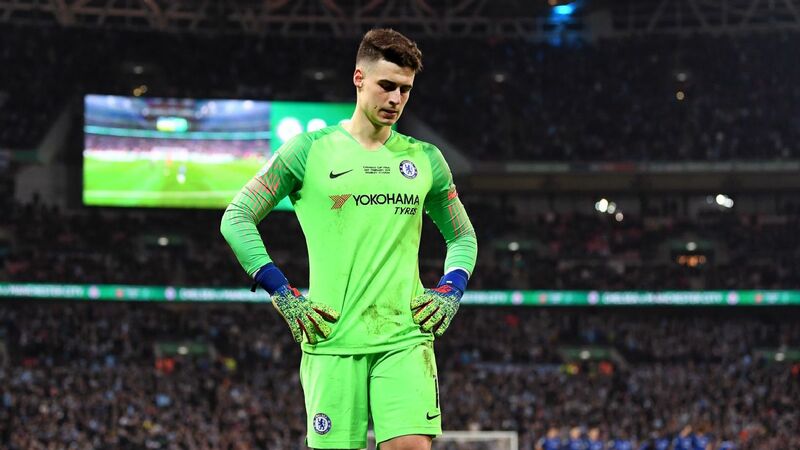 Goalkeeper Kepa has been unconvincing recently, while fullbacks Cesar Azpilicueta and Marcos Alonso, previously so reliable, have looked tired and out of sorts. Their lack of pace is also a big problem against City's flying wingers. In midfield, Jorginho is too slow and slender to make an impact in English football, and opponents are now targeting the former Napoli man on a weekly basis. 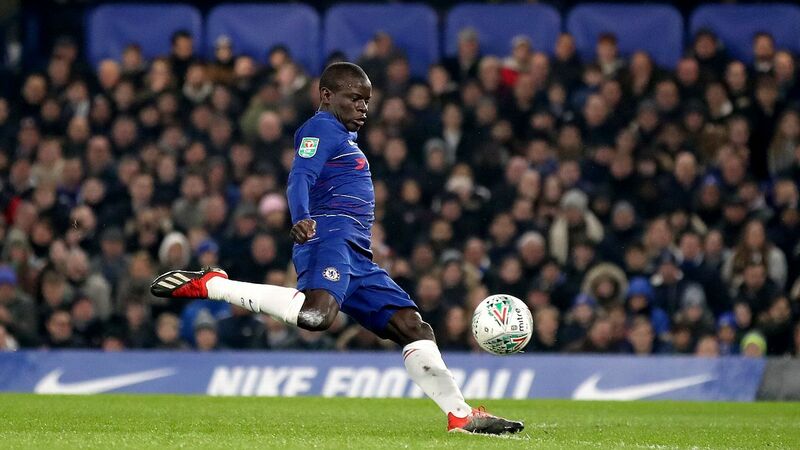 Mateo Kovacic, on loan from Real Madrid, is also too slow, while N'Golo Kante, regarded by many as the world's best defensive midfielder, is being played out of position to accommodate Jorginho. Up front, Hazard is blowing more cold than hot, and loan signing Gonzalo Higuain has not looked sharp enough, or quick enough, yet to make the impact required. Overall, Chelsea have a real lack of pace all over the pitch, which is a crucial issue against a team that moves the ball as quickly as City. 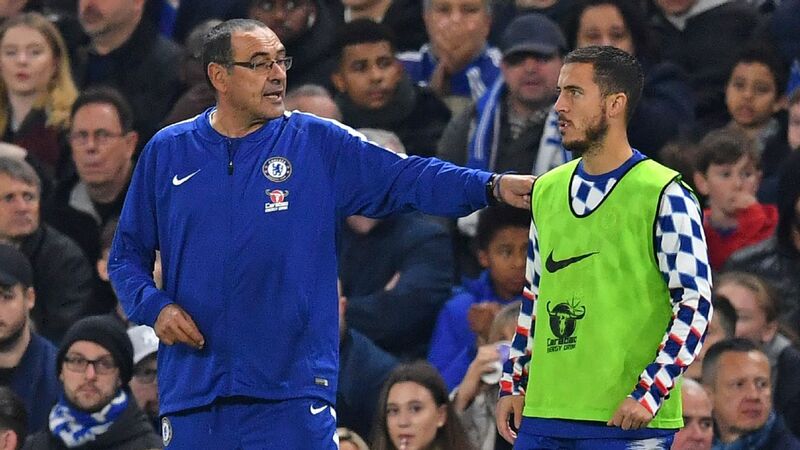 Under-fire coach Maurizio Sarri, left, needs a world-class performance from Eden Hazard, right, if Chelsea are to have a chance of shocking Pep Guardiola's side. Leroy Sane is one of the few genuine wingers playing the game today, and the Manchester City man offers something different for Guardiola's team. The German has been compared to a young Ryan Giggs and Gareth Bale because of his direct style and goal threat. 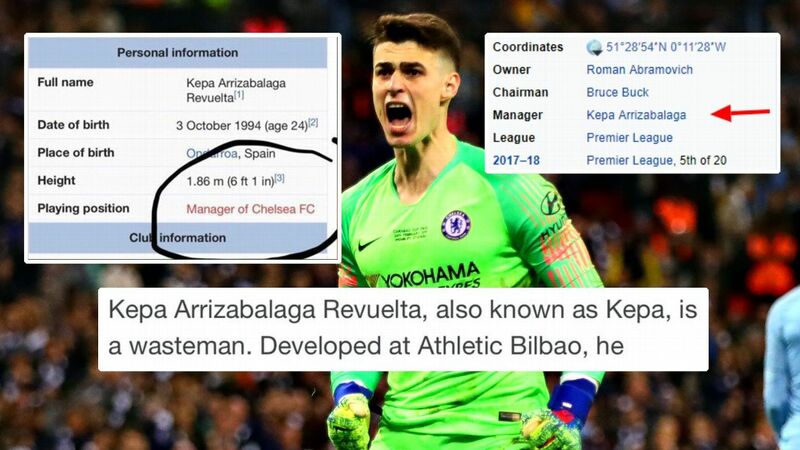 If he's selected Sunday, Chelsea's pedestrian defenders could be in for a long day. Chelsea's is Hazard. 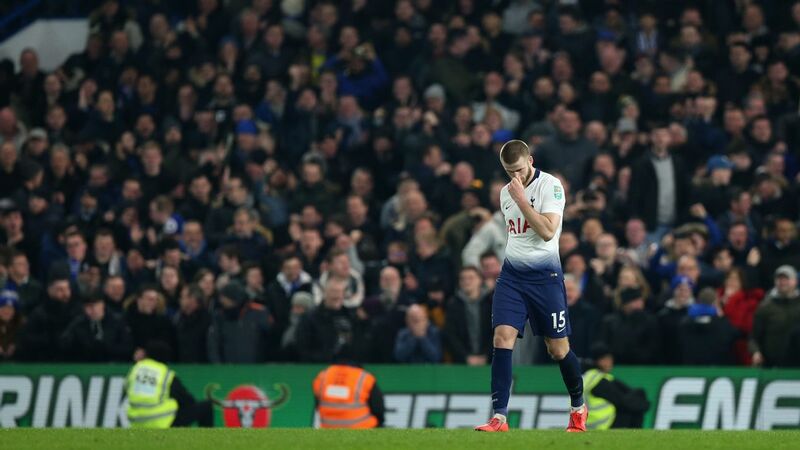 He's a world-beater at his best but a passenger when he can't get involved, as was the case during the 6-0 defeat at City and Monday's FA Cup loss at home to Manchester United. But this could be the Belgian's last chance of silverware at Chelsea, with Real Madrid hoping to sign the forward this summer. Perhaps he can rise to the occasion when it matters most. Is this Hazard's last big match in a Chelsea kit? It is hard to find any reasons for optimism for Chelsea fans in terms of Hazard staying at the club beyond the end of this season, especially if Real come calling. The club are struggling under Sarri and are currently on course to miss out on Champions League qualification. 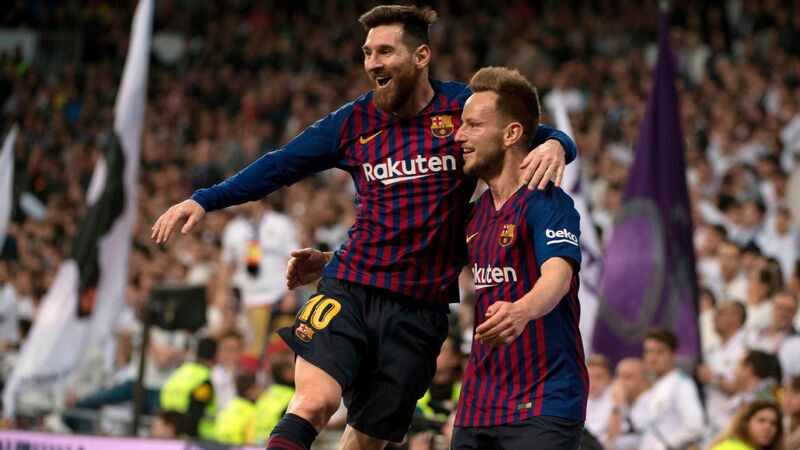 They might yet make it to the Europa League final in Baku, Azerbaijan, in May, and winning that would give Chelsea a backdoor route into the Champions League; therefore, that would be viewed as a much bigger game. But Chelsea have to get there first and that is by no means guaranteed. Sunday could be the last big hurrah for Hazard in a Chelsea shirt. Oh, yeah: What the heck is Carabao anyway? Carabao is a Thai energy drink, with the company signing a three-year sponsorship deal with the Football League to sponsor the League Cup from 2017-18 onward. In the summer of 2016, Carabao also entered into a deal to sponsor Chelsea's training kit. There have been some major shocks in this tournament over the years, with Swindon Town beating Arsenal in 1969, Stoke City beating Chelsea in 1972 and Luton Town shocking Arsenal to win the cup in 1988. U.S. international John Harkes played when Sheffield Wednesday beat favourites Manchester United in 1991, but in recent years, the tournament has seen Jose Mourinho win his first trophy in English football with Chelsea in 2005 and Zlatan Ibrahimovic also break his duck in England, scoring twice in United's 3-2 win against Southampton two years ago. Liverpool, whose most recent win came following a penalty shootout against Cardiff City in 2012, have won the competition eight times. United, City, Chelsea and Aston Villa have each won it five times. 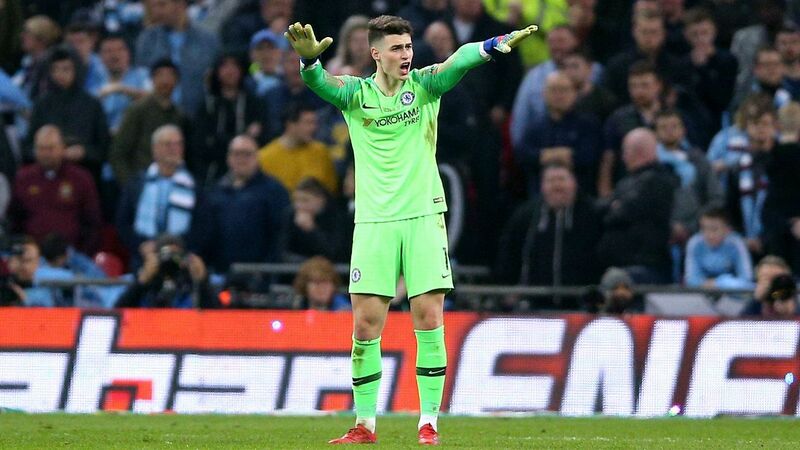 Chelsea 0, Manchester City 2: Chelsea's Europa League win against Malmo on Thursday helped stopped the rot, though they still have a huge task ahead of them against City. It will be closer than the recent league game at the Etihad, but City are in supreme form right now and they will win at Wembley.